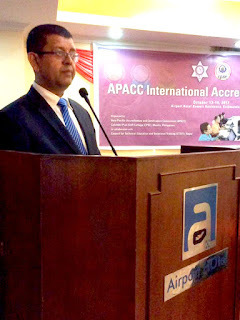 Dr. Ramhari Lamichhane during the Opening Program Colombo Plan Staff College (CPSC) Director General and APACC President, Dr. Ramhari Lamichhane talked about the history, accreditation process and benefits of APACC. In his lecture, he emphasized the role of APACC which is to promote continuous improvement in institutions. 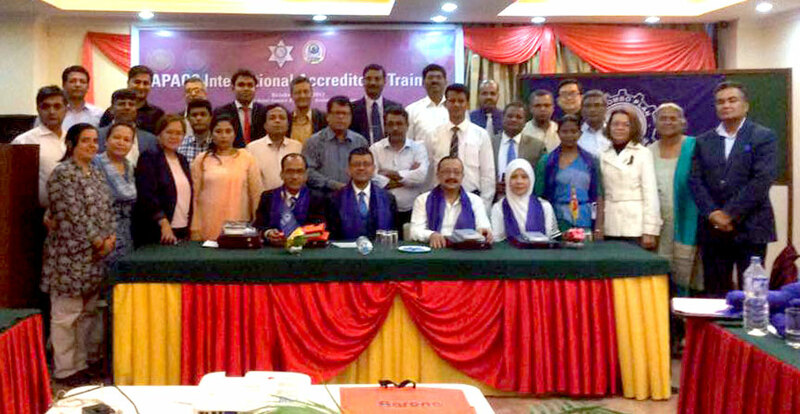 He also states that despite its relevance, undergoing the accreditation exercise is voluntary but highly encouraged to further enhance the institution’s reputation and services. He also took the opportunity to share about the Association of APACC Accreditees (AAA) which was primarily formed to establish cooperation and to strengthen regional ties among accredited institutions by expanding cross-border education services in order to facilitate staff and student exchange. 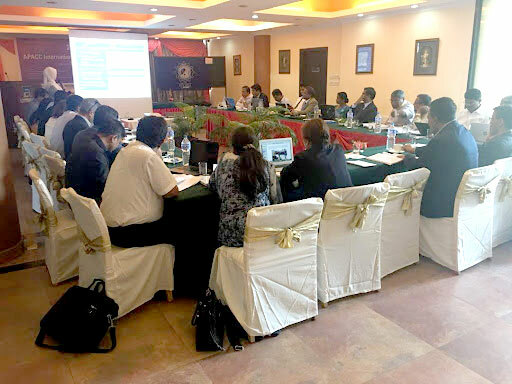 His lecture was followed by Dr. Pramod Shrestha's talk on Quality Assessment of TVET Institutions in Nepal through International Accreditation wherein he discussed about the APACC Model and its principles.